By now you've probably already heard the news about yet another big screen adaptation of Scooby-Doo in the works, right? Did you roll your eyes like I did? That's pretty much all the reaction I can muster after having already gone through the traumatic adaptations of some of my other favorite cartoons, including The Flintstones, Josie and the Pussycats and most recently Jem and the Holograms (which has yet to be released, but I already feel hostile about it). So needless to say, I am rather numb about this latest announcement. But since we're on the subject of the mystery-solving Great Dane and his three human comrades, I feel compelled to finally admit my annoyance toward Fred, the self-proclaimed leader of the bunch. Don't get me wrong. I know many who swoon over Fred's luscious animated blonde locks, dapper blue bell bottoms, freshly starched white shirt and orange ascot. And that's totally fair, kinda. But it always bothered me, or maybe more so as I watch it now as an adult (unabashedly, might I add), that he was constantly taking credit for cases that Velma so obviously solved on her own, mostly. I know what you're probably thinking: Seriously, it was a different era and it's a cartoon! This is all true, but if you're a devout fan of the original '70s cartoon (and an adversary of the later edition with the annoying Scrappy Doo character and subsequent '00s live action films), like myself, you've been biting your tongue about this very same thing for years. 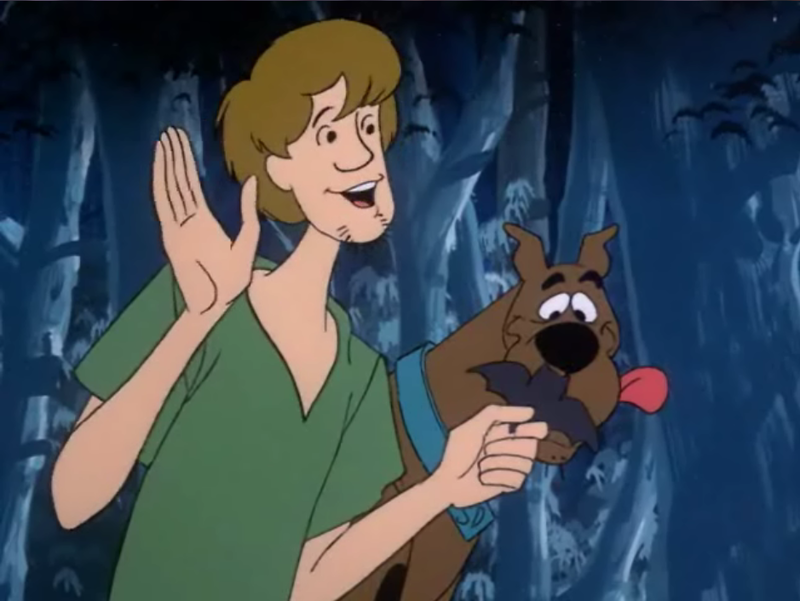 Here's a typical episode: Scooby-Doo and the gang plan to enjoy themselves on an adventure out of town when they stumble upon a spooky mystery instead (usually in the form of ghost sightings or mummy dwellings). Velma, the resident nerd of the group, boldly steps up to the plate and informs the group that their plans have changed and that their focus is now to solve this mystifying new case. She puts together a plan of action, is never afraid to interrogate the sometimes strange local residents, and even enlists Scooby-Doo and his BFF, Shaggy (originally voiced by the late Casey Kasem), usually out of desperation by bribing them both with Scooby snacks (I have yet to understand why Shaggy hungrily accepts dog food as compensation). Who doesn't Velma recruit? Why, Fred and his beautiful bimbo sidekick, Daphne, of course. Why? Because they're utterly useless. 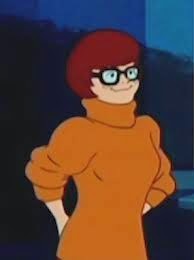 True, Velma almost consistently loses her glasses each episode (she's practically legally blind without them), but even with less than perfect vision and two very clumsy partners, she's able to come to a conclusion while Fred is off somewhere trying to save Daphne from herself. (For whatever reason, Daphne is always either getting kidnapped or falling through trap doors. If this was a real job, she would have been fired after the first case). 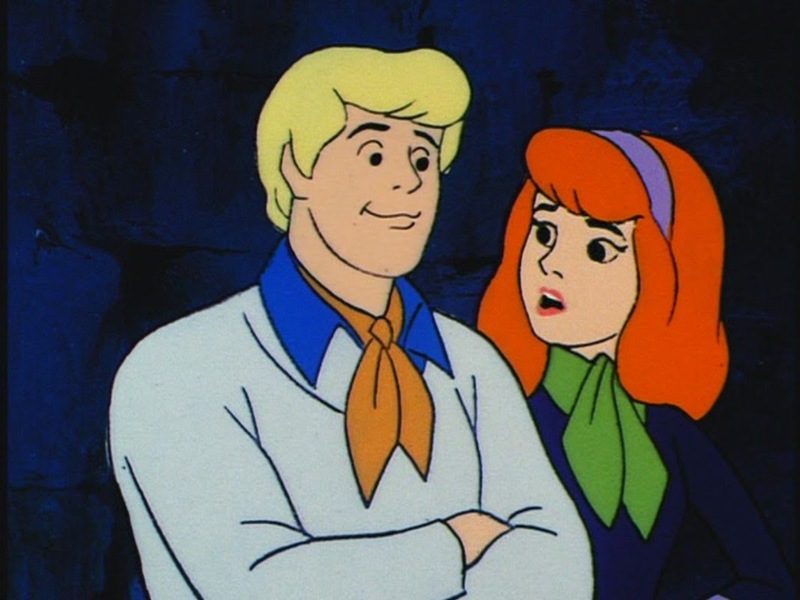 Fred conveniently checks in when he's not helping Daphne, just long enough to provide Velma, Shaggy and Scooby-Doo with a map or to reiterate a discovery or a clue that Velma already relayed. Then he returns for the last few moments of the episode so that he can help do the big reveal, in unison with the group, of who the culprit is. Like, seriously dude? I admit, he's good for driving the mystery van and providing that protective layer to an otherwise scattered group, but his pretentiousness is a bit nauseating. Even though Shaggy and Scooby-Doo aren't the most reliable of the gang, they can at least accidentally help solve cases when prompted. So all I'm saying is, maybe Fred can step it up a bit in this next installment and allow Velma to chillax for a bit, maybe knock back a few mojitos and enjoy herself? (I'd suggest Daphne help out, but I don't trust her). Okay, I've done enough random ranting for the moment. Anyone else love Scooby-Doo? Share your comments about the new adaptation below. I'm with you...some things just need to stay where they were left. This post made me laugh. I actually never liked Scooby Doo, even as a kid. Anyway, enjoyed the first live action with my daughter for the most part, but now that she's past that kid movie stage-so am I. I always say "Hollywood Wants What Hollywood Wants" shrug. As far as YOUR assessment again LOLOLOLOLOL I never looked at it THAT deep, but more power to you sista!